Where will this year take you? Are you a goal-seeker, a task-doer, a resolution-ticker or simply a horizon-chaser? Something about the lonely, grey skies of desolate January days makes a person look inwardly and wonder what new adventures they can seek during the upcoming months…yes? We feel you. We know you want to pull on something cozy that feels like a hug as you mentally thumb through your empty day-planner or cuddle on your couch. These last few long winter weeks need something like a Nicole to take you from day to day! 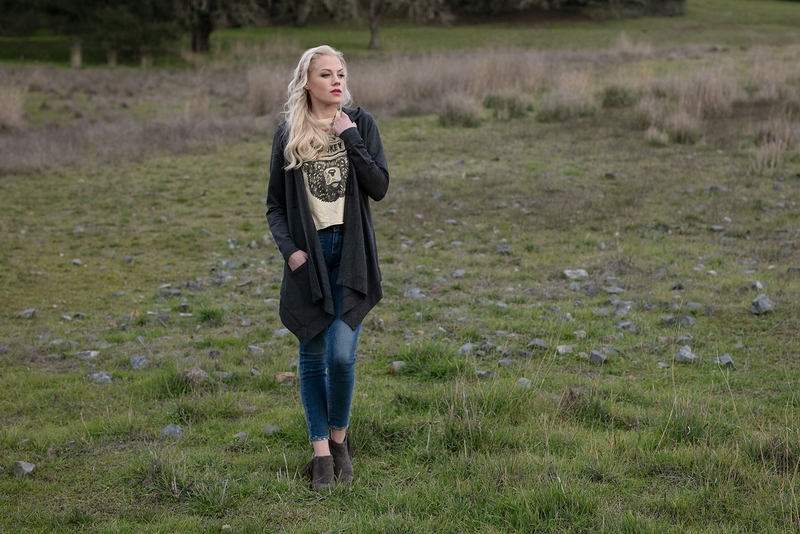 The Nicole is one of the most comfortable and versatile pieces ever made by Evy’s Tree, we know you’ll find ways to wear this Nicole in Charcoal morning, day, and night! 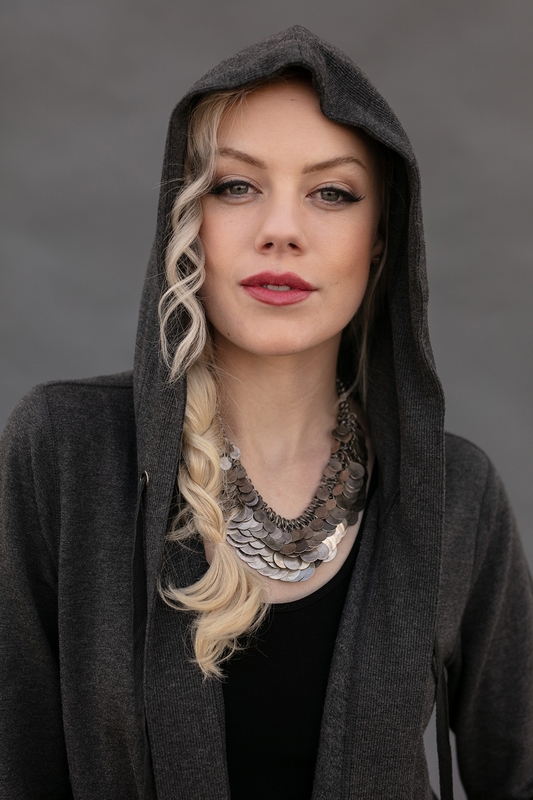 The Nicole is not a traditional ‘hoodie’ since it is a wrap/sweater style, it is designed as a versatile, luxe, super soft hooded wrap. The colors of the Nicole are always intended to make this work as a neutral wardrobe staple, and this medium weight Charcoal version is no different. With a light interior brushing and the same much-loved super soft and gently stretchy fabric, this classic look with the Nicole features an open front with no closures, a waterfall hem, roomy patch pockets, contrasting rib trim, and a generous hood. Everyone who owns a Nicole knows; once you put it on, you aren’t going to want to take it off!